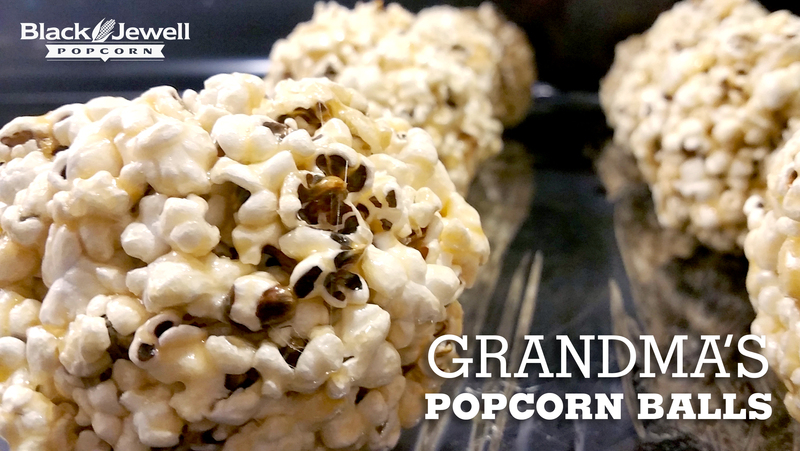 Have you ever wondered exactly what it takes to make the best popcorn products available? Obviously, it all starts with our unique, colorful kernels. 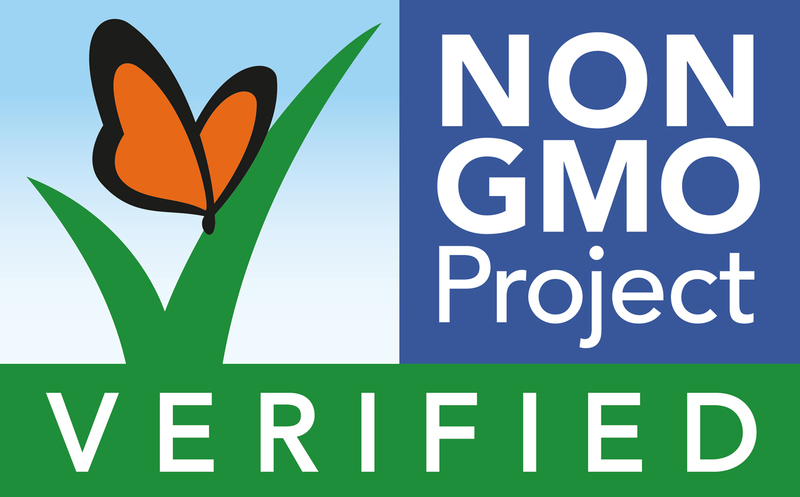 But, have you ever thought about all of the work that goes into getting those kernels from the farmer to your store? For example, all of the work that goes into designing, and producing, the materials to package our Black Jewell products? Not to mention the actual packaging and shipping. It’s a lot. You may have read my previous blogs from my adventures travelling to food shows or meeting with store representatives. However, I also spend a good bit of time on the road either at our popcorn plant or at various supplier locations to ensure every kernel of Black Jewell Popcorn you pick up at the store is up to our standards. 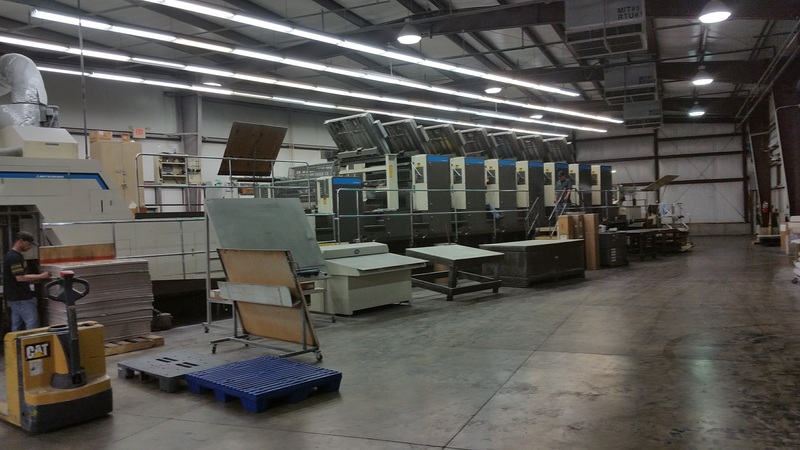 Recently, I was in southern Indiana with our microwave carton vendor for what is called a “press check.” This is basically the set-up process for the large printing presses that print the cartons. The press check is used to verify that all the colors are the way we want them. It isn’t unusual for the process to take several passes and color adjustments to get it just right. We got started very early in the morning (I had to meet our supplier at 7:00 am), and, as expected, we spent quite a bit of time on the press check. But, after a couple of hours, and several passes, we dialed it in. The end result was perfect. These cartons are now at our microwave packaging facility, also in southern Indiana, and will soon be filled. We’ll talk about this in a separate post, but I had to share the exciting news from this past week when we started production of a new Null Hull ready-to-eat item! Introducing…..Butter! To those of you who are familiar with our current Null Hull products, this might be a bit of a shock for you. But with adding a new product to the Null Hull line, we thought it was a great opportunity to phase in a new look for our Null Hull bags. I think they look great, what are you opinions? Let us know on Facebook & Twitter! To fill these bags, our unique kernels are popped in what is essentially a very large hot air popper. Next, the appropriate seasoning is added in very controlled amounts. With the start of a new item like our New Null Hull Butter flavor, we spend considerable time with food ingredient specialists ensuring the flavor is what we want, and the profile is matching our nutritional label. As with most, the day starts really early. 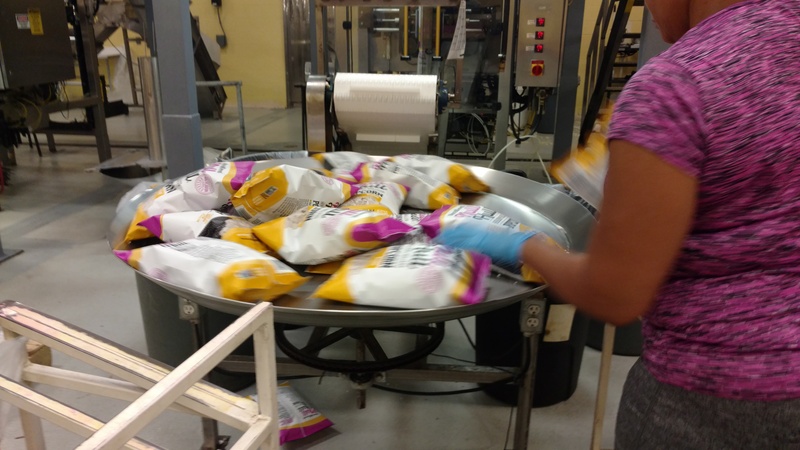 I was at the production facility in Grand Rapids, MI at 6:30 am for the start-up, and soon we had the butter flavor dialed in and bags started rolling off the machine. Our ready-to-eat popcorn bags basically come as rolls of printed film that are filled and sealed quickly by the packaging machine. You can see the bags as they’re filled, sealed, and being dropped to a rotating carousel in the picture below. Experienced workers then grab the bags from the carousel to fill our cases and stack them on pallets for shipping. With Black Jewell continuing to grow, our supplier and production base has as well. In fact, depending on the final product we are looking for, we may utilize facilities across the Midwest! Needless to say, this keeps us very busy working to make sure we have the right materials, in the right place, at the right time to ensure success. Being a smaller company, efficiency and supply chain are incredibly important, and we’re always evaluating our processes to see what we can do to get Black Jewell products from the farm, to your kitchen with as few steps as possible. What’s next? Well, I’ll be visiting another possible production facility in Houston, TX very soon. 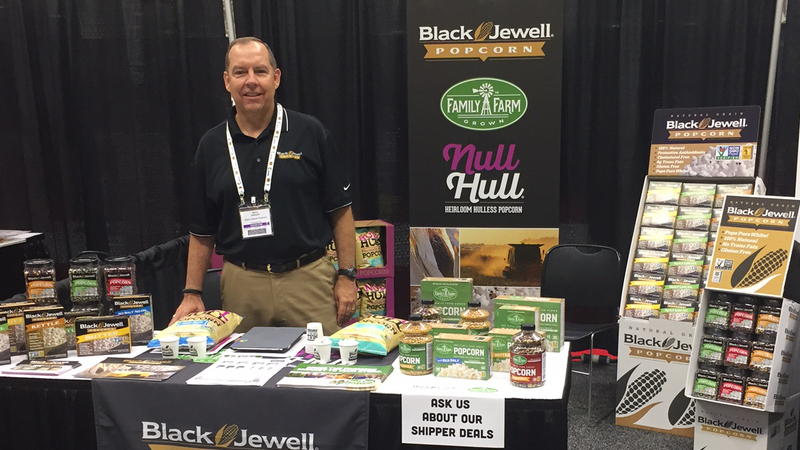 Then it’s back on the road to spread the Black Jewell story, our new Family Farm Grown brand, and Null Hull, among all of our classic popcorn offerings when I attend a food show in Amarillo, TX! I’ll make sure to catch up with you after the Amarillo show! 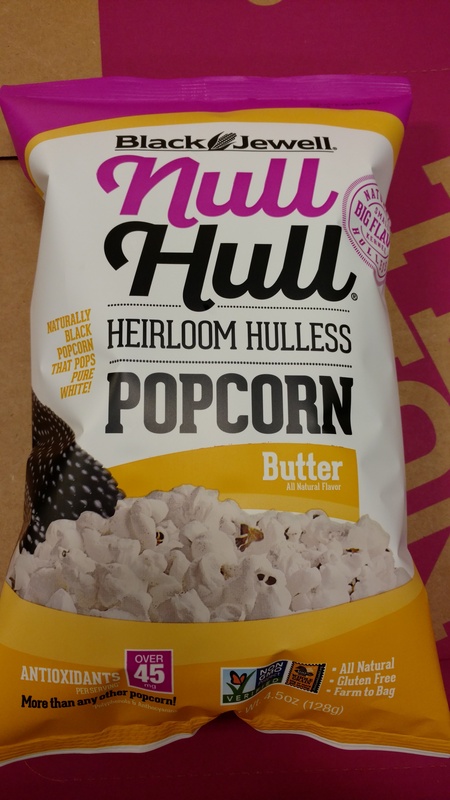 In the meantime, don’t forget to tell your local grocer you want them to carry Null Hull!